Ladies Take 6th in Lundington! 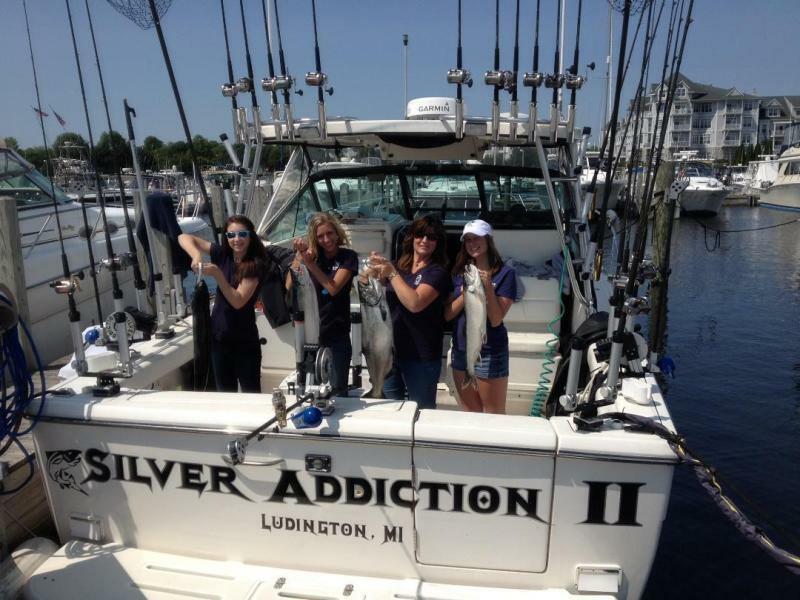 The Ladies Team of Madison, Taylor, Roxanne, Sarah and Elaine took 6th place in the Ludington Ladies Pro Division. Along with this good showing Madison Coleman landed a 20 pound KING that took second in big fish by just ounces!! In the Ladies day tournament, the Ladies need to fight and net the fish and they ended up doing a great job as always. The normal short comings on getting the Trout was not a factor this year as Team Captain Sarah promised to KISS every Lake Trout that was landed. With an offer like that what Lake trout could resist, as the first three fish landed were lake trout. True to her word, Sarah KISSED each one. For proof of this and all the action, on Ladies Day, make sure to watch Michigan Outdoors in two weeks, as Jimmy Gretzinger got it all all film. Congratulations Ladies!! Newer PostManistee Salmon Splash in the Books! Older PostGood Dates Still Available!